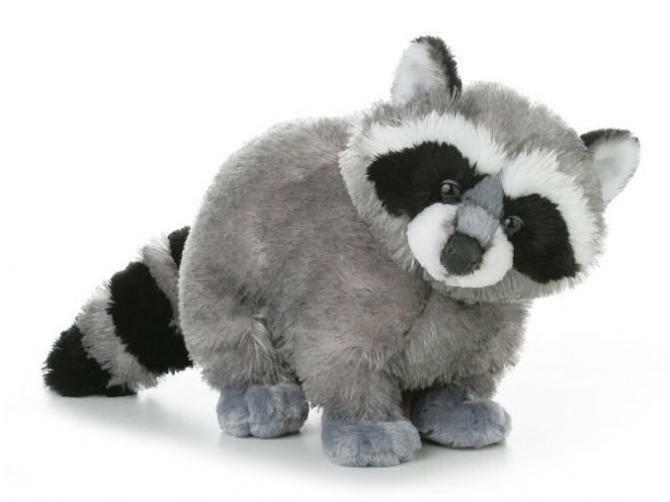 Bandit the Plush Raccoon is very soft and huggable. Bandit is a Flopsie from Aurora World. Flopsies are bean-filled and double-bagged for safety and durability. Flopsies have lock-washer eyes and noses for safety. Bandit measures 12 Inches and is washable. This is the cutest stuffed raccoon I have ever seen, and he is super soft. Bandit was cuter than I expected. He is super soft and cuddly. I am very happy with my purchase.